High end Eagle Mountain home! Open concept design with spectacular views of the surrounding mountains. 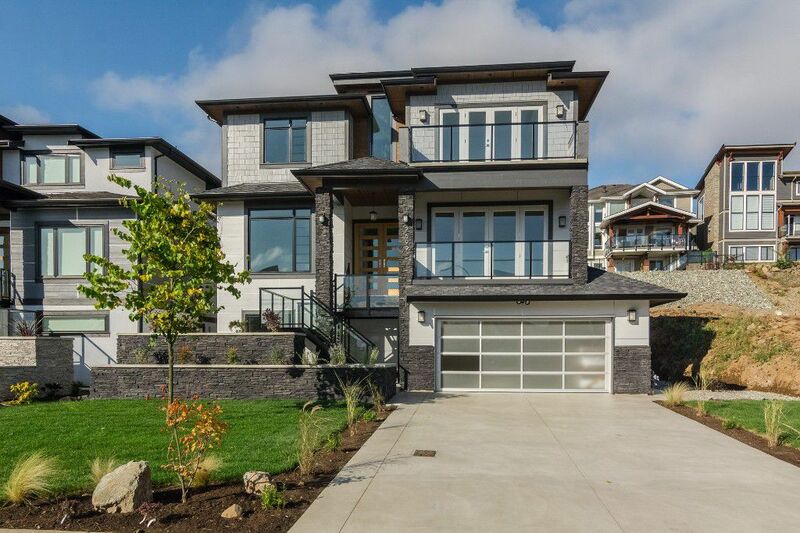 Quality finishing throughout this home including- 2x6 construction, silent joists, concrete floors with in floor radiant heating, hardwood & tile flooring, granite counters, 9ft basement ceilings, 10ft main & upper floor ceilings, instant hot water, central a/c. Master bedroom with spa like 5pce en-suite & private deck access. Additional upstairs bedroom with 3pce en-suite & private deck. The basement has separate entry & media room wired for sound. Double garage with room to park 6 cars in the driveway. Large useable backyard with covered front & rear decks. You will not want to miss this one. Surrounded by million dollar residences, this East Abbotsford neighbourhood is a fantastic place to raise your family. Walk to Eagle Mountain Park, trails, schools and more. Utilities not included. Sorry, no smoking, no pets. Call us today! 604-755-4055 ext. 0.